Join us as we celebrate Passover at The Eddy. 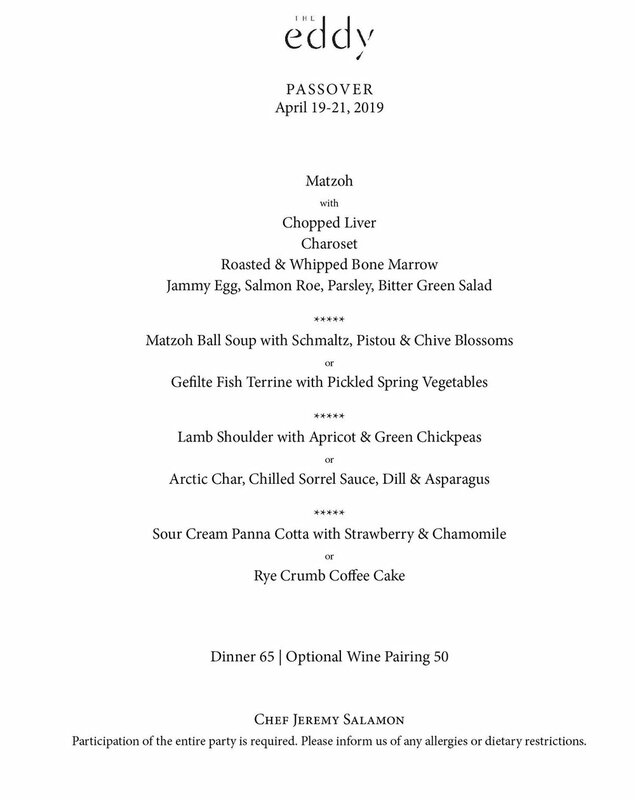 We’ll be offering a four-course Passover-inspired menu on April 19th, 20th, and 21st. The menu is $65 with an optional wine pairing for $50. We will also be offering a limited a la carte menu on those evenings. Reservations can made through our website. Make a reservation here or by calling us at 646-895-9884, or emailing us at info@theeddynyc.com.